DC Motor with voltage of 24V input. Regular Examination, on load testing. Regular Examination, on power testing. Regular Examination, on current testing. Regular Examination, on speed testing. 1、 Temperature of circumstances 25±5℃..
2、 Noisy: The noisy should be lower than 55dB when the motor is unloading and distance 300m. 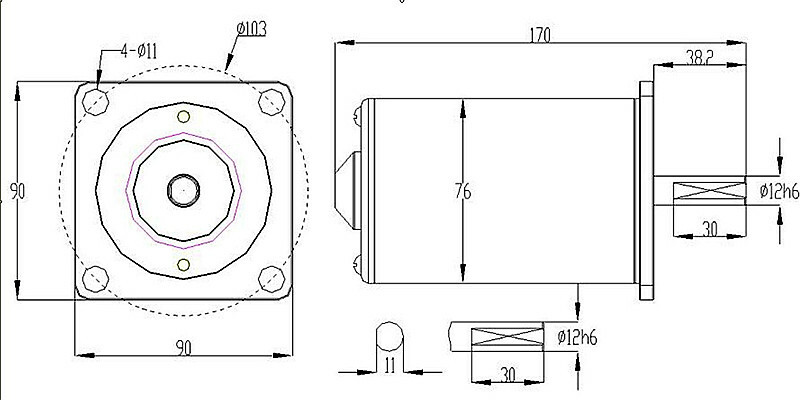 be lower than 1.8mm/s while the motor is unloading. 4、 Insulation resistance: Should be larger than 20MΩ in regular temperature and humidity. not be flashover and breakdown while the voltage up to DC300V/60S/5Ma or DC300V/1S/5mA. and confirm the situation after the motor was installed. (2) Please do not fix the axis when the motor is power on. Part of the motor would be heating, smoking, firing when the axis is fixing continuous. (Without the fixed protection). It is necessary to have a policy to take a facility to test the situation of the axis in order to remove the crisis and cut off the electricity. Please do not distort the connector when the terminal is connecting. There probably be fired if the connection was not doing sufficient. In addition, in case there was any damage to the article around, please use fire-proof material to connect the terminal. (3) To the conductor wire, please adequately consider the electric capacity and heat resistance, use the products which suitable for the specification. (4) Please do not break the winding, wire and edge of motor when the installation is working, otherwise, the electric shock, over burned and firing would happen. (5) Caution! Please do not touch the wheel (spinning parts) when the power is on, it is easily to get hurt by doing this. （1） The motor is installed in other equipment. It is a precondition to no mark of warning on the motor. Please tell us if there was a warning mark needed. （3） Do not make the bearing under the continuous high temperature. 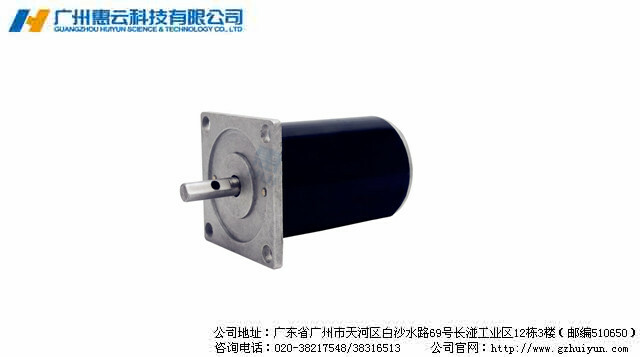 A high temperature (limited 90℃) is continuous will cause noise and vibration, deduct the motor using time. 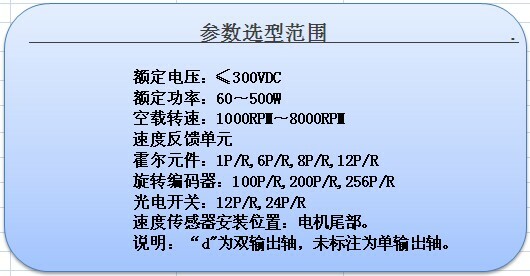 （4） In case the customer takes their own way to control the speed, please check and confirm the voltage, fluctuation of load and any other changed factors to avoid any noise, unusual heating and rotor locked situation. （5） Please confirm the equipment would have no affection to lead a misacting, damaged circuit and loose connection to the motor when there was situation of voltage surge, electricity off, static electricity and noise. Do check the affection of noise especially the motor with longer wire. （6） Please install the motor by the standard way into the equipment. An incorrect way to install the motor would cause the noise and vibration, and deduct the motor life. （7） Hand the wire and roller to move the motor is absolutely forbidden. （8） The motor falls down or impacts would cause an unstable insulation performance and bears broken, please do not use it. （9） Disassemble the motor is absolutely forbidden. The safety and other spec could not be guaranteed if the motor is disassembled. （10） Do not use the motor under the circumstances of harmful air such as corrosive gas(H2O, S02, NO2, CL2) and other matter which containing the corrosive gas(organ silicon, cyan group, phenol). Moreover, please check the equipment would not contain these harmful matters in order to avoid rust and short life. （11） Please keep off the corrosive gas and harmful condition to store, and the temperature must between -10～50℃, humidity must below 85% for storing, especially for long term storing. The longest store time would be 6 months under the regular temperature and humidity. The plated steel housing could rust when it was damaged. （1） Please confirm the structure, measurement, life, noise, vibration, spec between motor and equipment to see if they were match. （2） It would not be guaranteed if the motor is running beyond its spec and function. （3） Please contact in advance in case the spec of equipment was changed or the motor moved to other equipment. （4） If the spec of the motor is going to change, it would act under a written paper or an introduction. A re-supplied sample is needed to confirm if the spec and function would be different. （5） It is likely to change a part of the motor to rich the spec without notice but under the content of the introduction. （6） Please contact in advance if there were anything should discuss but the introduction did not record. （7） Please negotiate and solve according to the introduction if there were any problem. （8） Do not public the introduction to the third party.